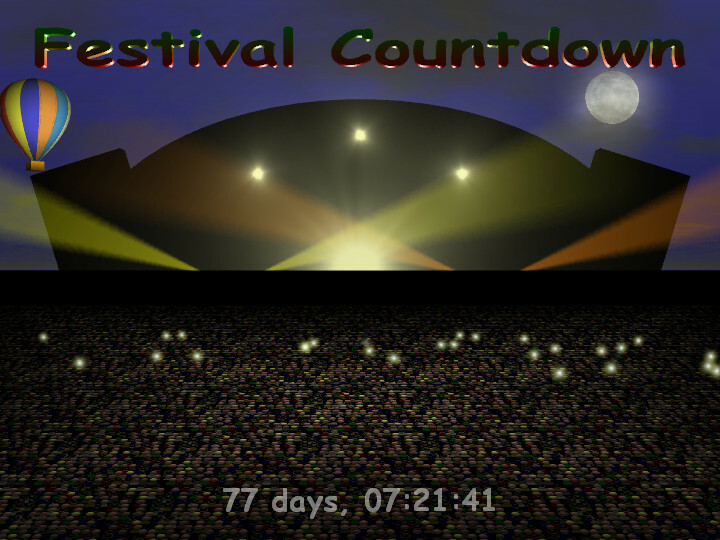 Personalize your PC with a screen saver giving you a real-time countdown to your eagerly awaited music festival. Simple to use Wizard guides you through the basic settings of festival title & start date. Either use as-is, or make whatever changes you like. For example, if you find an RSS News feed of the festival's latest information, use the Story Album feature to add that to the display. Locations: beach, city, farm, field, park. Types: dance, electric, metal, pop, punk, rock.